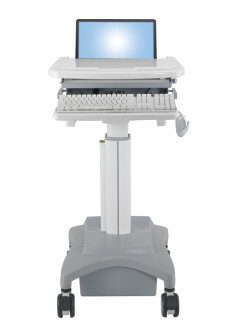 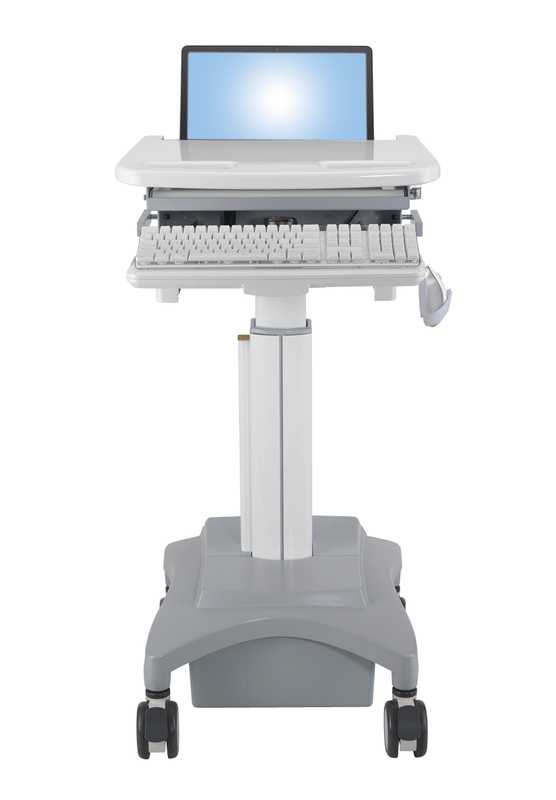 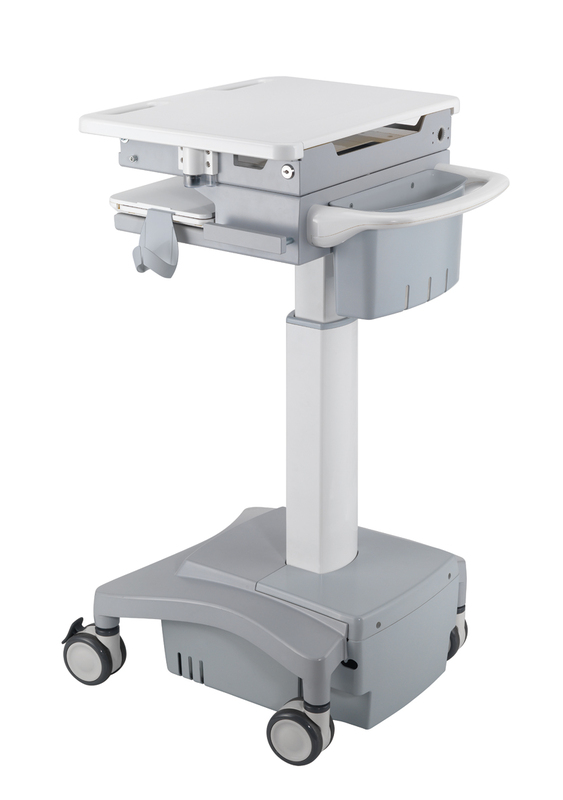 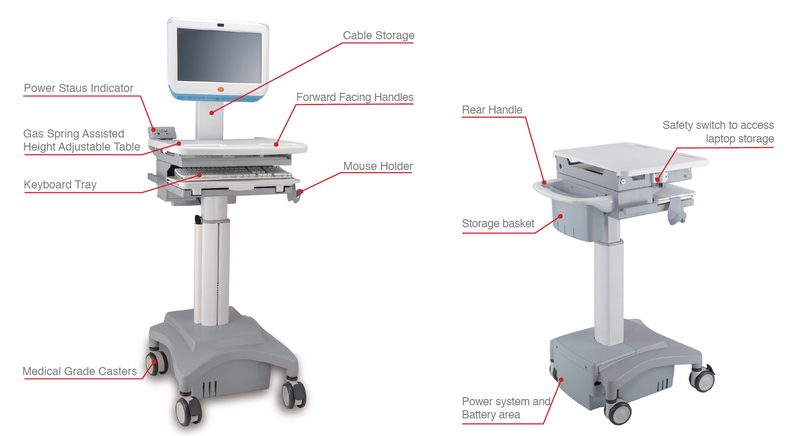 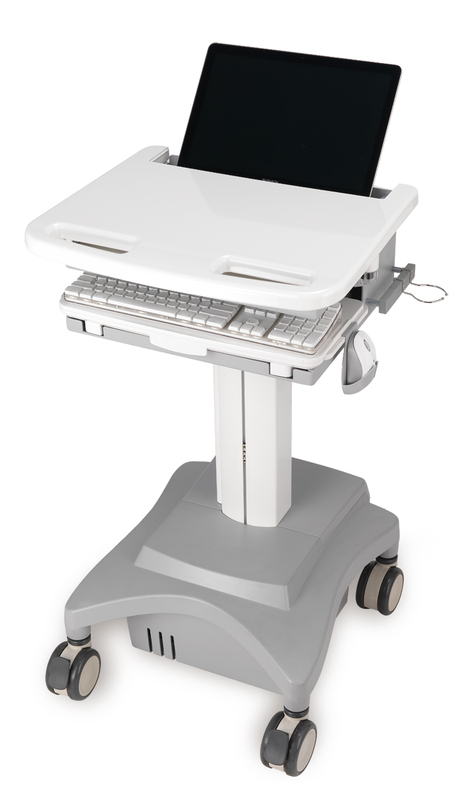 Medical Cart HC-100 – Without power system, is a medical cart design to be used with a laptop. 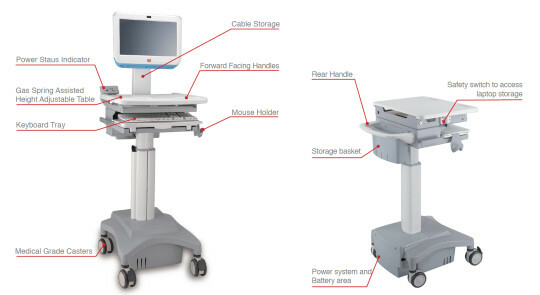 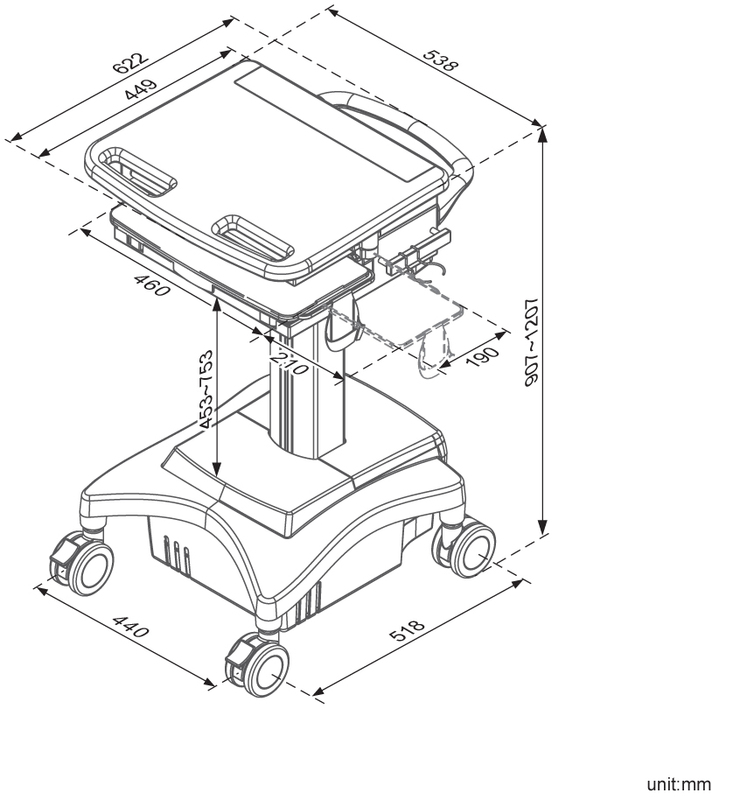 This medical cart is the same as HC-120, but without the built in power system! 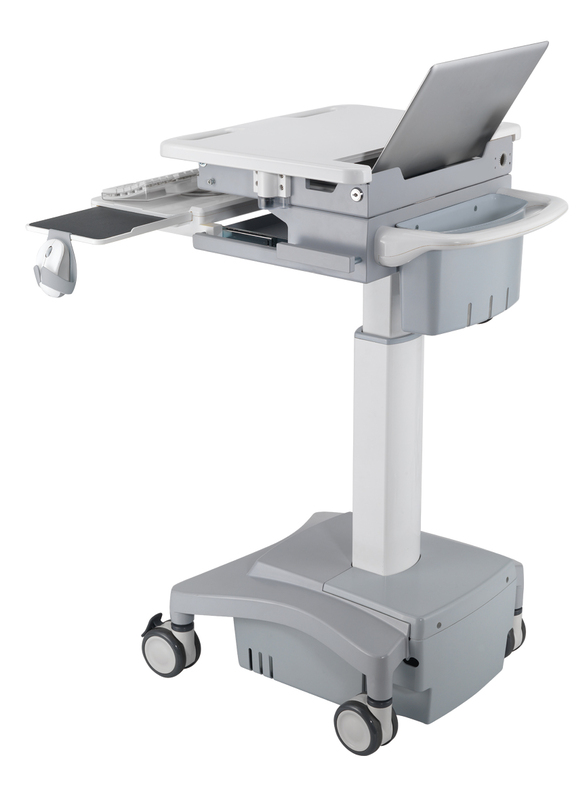 Medical cart HC-100 is a small and practical, and can easily be moved from room to room, across hard surface floors or carpet floors, thanks to its high performance casters. 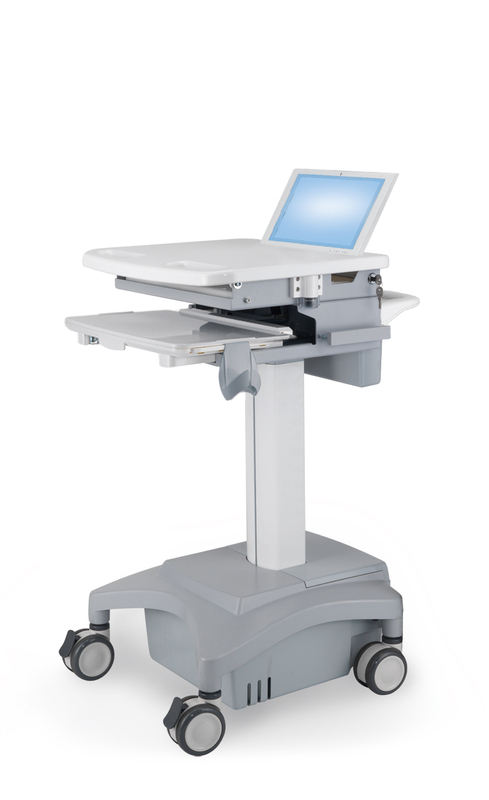 It is also perfect for areas with tight spaces.